How do I get to the 6 BC race? Plug it into your smart phone, GPS, Google maps, Apple maps, etc… it will get you here! 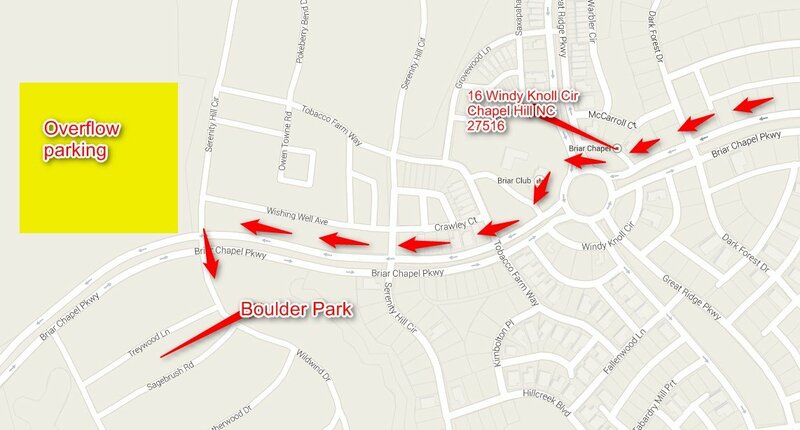 Once you are in the neighborhood, the map below will guide you to the “Boulder Park”. It is so new, that it doesn’t have an address yet. But, you can’t miss it! (It has a big boulder in the middle). We will also have signs to direct traffic to the parking area.